Training team roping & barrel racing horses is our passion. 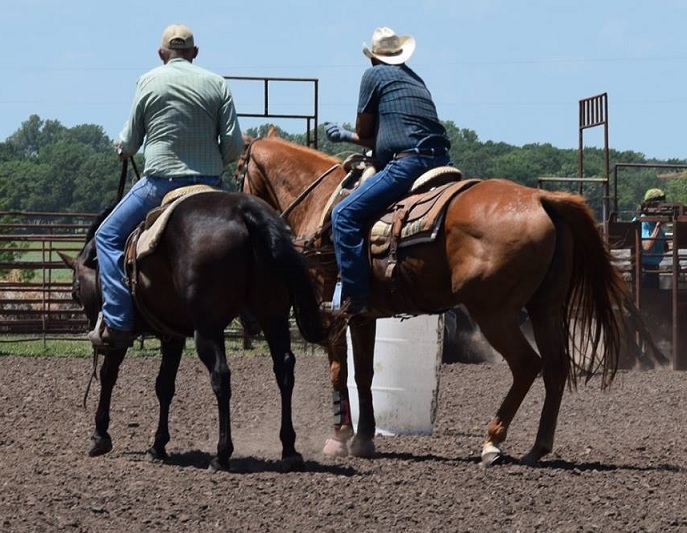 We work on training horses that will work for anyone. We wanted a horse that a beginner can ride but will be competitive at the highest level. Larry has been training horses for over 30 years. He has done everything from retraining problem horses to starting colts to finishing good broke team roping horses. Teresa has rode and trained horses all of her life. She has trained the 2000 KS NBHA Barrel Horse Futurity Champion, JRS Sheiks Reality, and that also became a super roping horse. 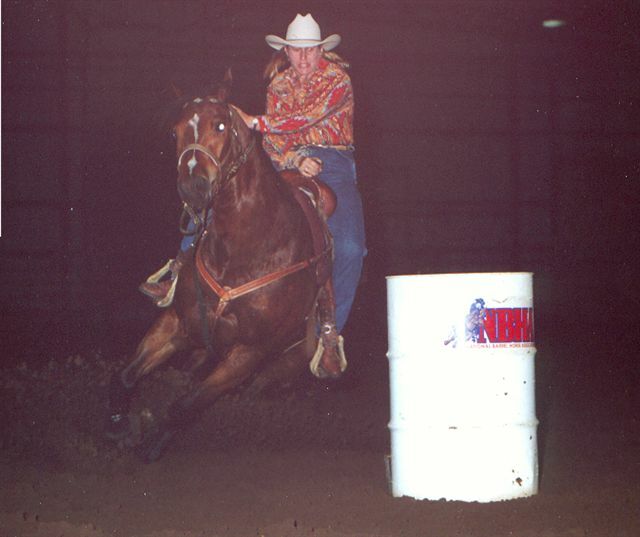 She is also the Team Captain of the 2005 & 2006 National Champion of the Women's Ranch Rodeo Association. Well, since we sold our stud, AR Mitos Rose, we have change our avenue a little bit. 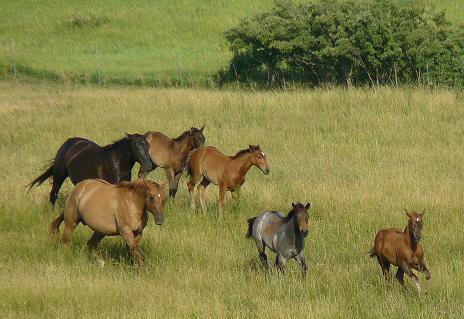 We still have some of those good Mito colts at our place that we are riding and are for sale. They are doing really well. AND we know where we can go buy some more babies from his new owner. :-) We also started a nice longhorn herd. Thanks to everybody that bought from us. We really appreciate it. Check out the rest of the website; If there’s something there you like, give us a call or email. We’ll be happy to talk with ya!! Building the present......for the future.